Based in Soweto, the Orlando Stadium is the home and training base of one of the major soccer teams in South Africa, the Orlando Pirates. Ahead of the FIFA World Cup in 2010 the Orlando Stadium was rebuilt and now offers a capacity of 40,000 after the cost of the upgrade and rebuilt added up to R280 million. The stadium was also used to host the semi-final and final ruby matches in the Super Rugby 14 apart from hosting matches part of the soccer world cup in 2010, while it has also been since used in the hosting of concerts and boxing matches. In the 2010 World Cup, the stadium hosted the kick-off concert of the World Cup and featured international pop stars such as the Black Eyed Peas and Shakira. The Orlando Stadium has a rich history and has been part of several historical moments in sports as well as several not revolving around sports. On the 16th of June 1976, the stadium was the place where thousands of black students marched to in protest of the rumour that the Afrikaans language could be added as a medium of instruction in schools in Soweto and other black schools. The whole rally arranged by the students were supposed to be a protest at the stadium, a peaceful protest, although once police arrived the protest turned violent and the students never reached the stadium as the day ended after several students were killed. The Orlando Stadium was also the place where thousands of mourners met in 2003 for the funeral of Walter Sisulu, the anti-apartheid leader. In 2011 the Orlando Stadium was also the place where Walter Sisulu’s wife’s funeral took place, while both these events remained peaceful and calm. 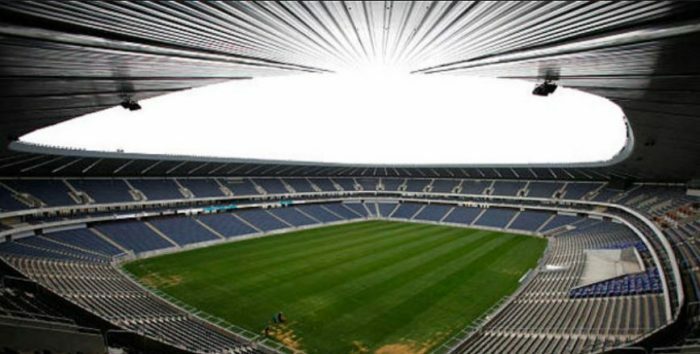 The Orlando Stadium was built originally for the Bantu Football Association in 1959 and had a seating capacity then of 24,000 the construction cost was £37,500 and the stadium was opened by the Mayor of Johannesburg. Although it was intended to be a football stadium only it was also used for concerts by O’Jays and Molombo, both Jazz musicians and in 1975 it hosted the middleweight and welterweight boxing matches. Besides been used as a training venue the Orlando Stadium also hosted several concerts after the 2010 World Cup, and the artist includes Justin Bieber, Mariah Carey, John Legend, the Who, Rod Stewart, Parlotones, Kelly Clarkson, Manfred Mann’s Earth Band, Dave Matthews Band, Freshlyground and Hugh Masekela to name only a few. Currently, the Orlando Stadium offers an auditorium for 200 people, seating for 36,761 people and 120 hospitality suites as well as a conference centre and a gym. Known as the factory of dreams, the Orlando Stadium is operated by Stadium Management South Africa and belongs to the City of Johannesburg. It is the largest stadium in Soweto and therefore often used for rallies or events that require a venue with a capacity of 40,000.